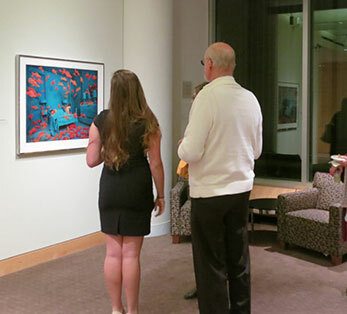 Last year, I participated in a course, ‘Exploring the Addison Gallery,’ at my boarding school in which students from all grades worked together to curate our own physical exhibition from artworks in the Addison Gallery’s private collection. 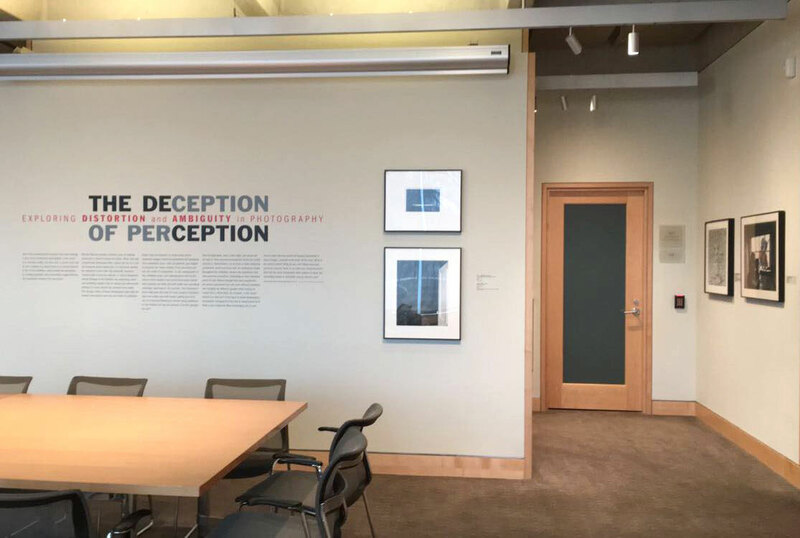 Over the course of the term, we learned about curatorial practices: how curatorial work can carry messages, and how artworks can communicate visually with other artworks. What made this class unique was the access to the museum’s and its vast collection, and getting to know the museum staff. The curatorial team were some kickass women, many of whom had created exhibitions that had toured nationally, and who had worked with the school for many decades. The museum registrar had been cataloging since he was six years old, with a truly impressive Star Wars memorabilia collection. We were also able to work with a curatorial team called Triple Candy, who were in the midst of creating their own exhibition. 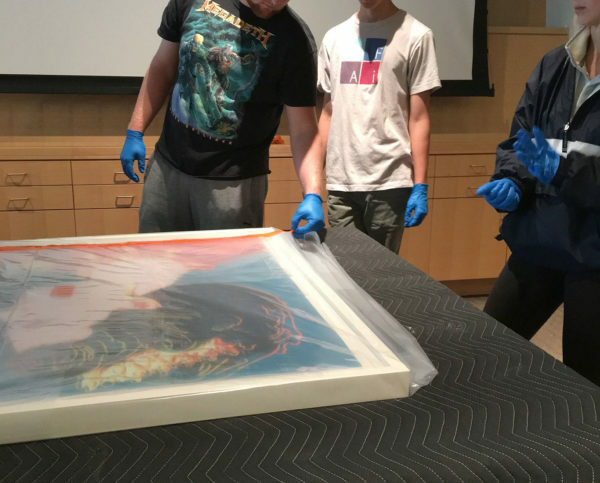 They were so willing to help us consolidate our own ideas.Working with the staff, we were able to explore the inner workings of the museum such as storage, conservation, acquisitions, and installers. Our exhibition dealt with preconceptions that people have when viewing photography. One of these preconceived notions is the concept of a concrete reality, the idea that a picture is a frozen moment in time. In our exhibition, we selected artists who challenge this perception by creating surrealist scenes. I advocated for the inclusion of a Richard Misrach piece, ‘Desert Croquet #3 (Balls, Plane, Car)’ which showed croquet balls transposed with a plane and car, setting a scene with baffling proportions. Looking at the photograph, it is unclear whether you are viewing a colossal game of croquet, or tiny toy vehicles. In Sandy Skoglund’s surreal ‘Revenge of the Goldfish,’ the contrasting colors and unsettling imagery create a scene far from reality. The nature of these photographs play with what we can believe is real. Depending on the point of view, the artworks can invoke specific emotions and thoughts. When looking at Leland Rice’s ‘White Door,’ an eerie half open door leads into a black void. Is the viewer being invited in, or are they trapped? Photography as a media represents the instantaneous nature of viewing life. However, the artists in our exhibit twisted and shifted this reality into supernatural scenes. These images are so far out of what we would consider real. ; the visuals behind the photographs create uncertainty as to what they are. By studying the connections between artworks—choosing where to place certain pieces, playing the unique scale and realism of Desert Croquet #3 next to the visually fantastical Revenge of the Goldfish, for example—I learned how to analyze and consider thematic references in my own art. By building my visual vocabulary, I made my own artworks more complex. Instead of choosing subjects that were simply convenient or aesthetically pleasing, I began trying to speak visually to historical artworks and build my art around techniques and topics that I actually wanted to study, like Japanese ceramics or the prevalence of social media. Through our analysis of color theory, composition and linear perspective, I learned how to steer the viewer’s point of view. After taking this course, and as I prepare to send portfolios off to schools as part of my college applications, I’ve begun to think as my works less individually and more as how they work together. This has helped me with composition and content in creating new works, as to build off of processes and ideas I’ve explored before. In this way, I learned had to cultivate my own sense of creativity.